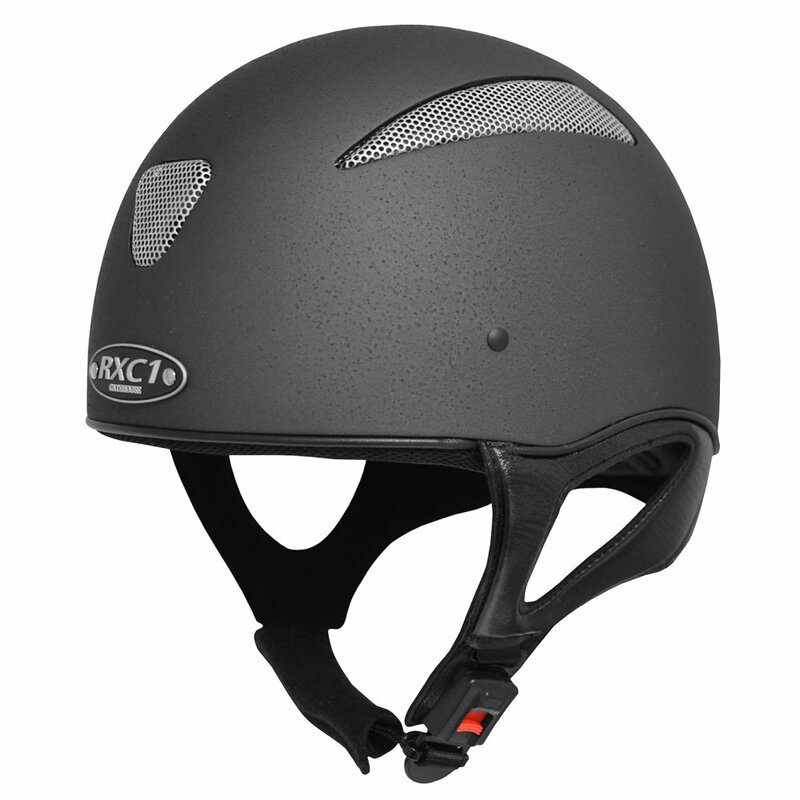 The Gatehouse RXC1 Jockey Skull is a revolutionary new riding hat that features ventilation panels and holds triple safety standards (BSEN1384, PAS015 and SNELL2001) for rider peace of mind. The Gatehouse RXC1 is ventilated to allow through-flow of air to help keep the head cool whilst riding as well as a mesh inner liner that improves air circulation. The inner liners of the RXC1 are removable and can be machine washed to keep your hat smelling fresh. The Gatehouse RXC1 Jockey Skull is finished off with a stylish padded leather harness with safety buckle fastening.